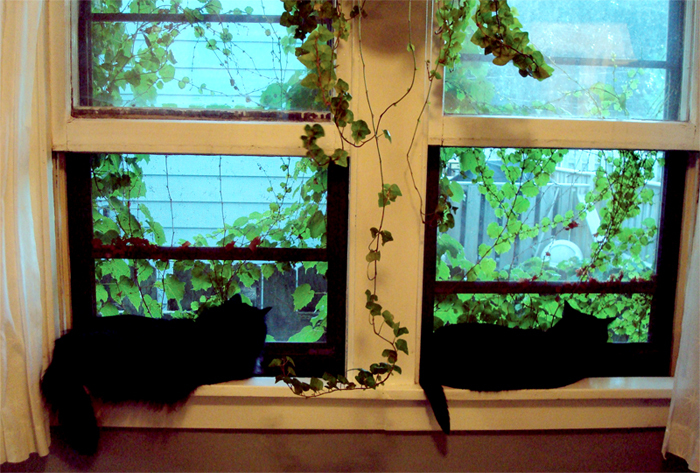 We opened up the windows today. The cats fell into a crazy synchronization and they began to look like brother and sister again. Ten minutes later they went back to fighting.